RadioWorks is a locally owned and operated business in Victoria British Columbia. They are one of the largest Motorola two-way radio dealers in British Columbia and Reddingstone is proud to be the design studio of choice for the new web design. 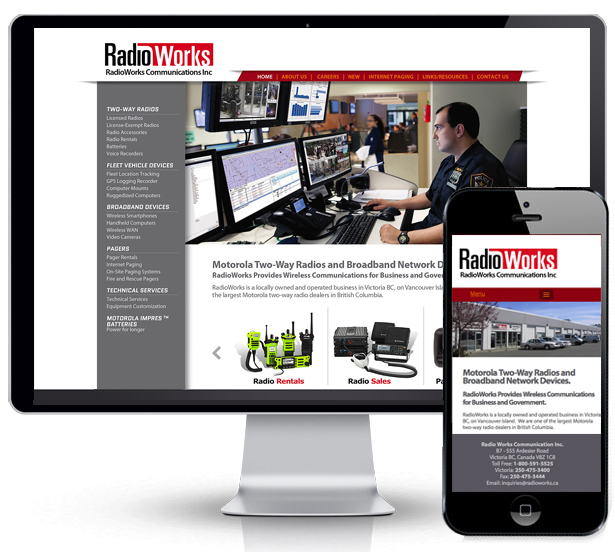 The new RadioWorks website design features responsive design as well as a detailed inventory of their communications products.